It’s not too late to grab some great Cyber Monday Deals! Macy’s 20% off Coupon Code CYBER – CLICK HERE to Shop! HP Cyber Monday Plus Cyber Week: Up to 62% Off Your Order – CLICK HERE to Shop! Home Depot Up to 40% Off Plus Free Shipping on Select Items – CLICK HERE to Shop! Sears Extra 20% Off Clothes & Shoes Coupon Code CYBER – CLICK HERE to Shop! Michael’s 30% off Coupon Code CYBER30W – CLICK HERE to Shop! Kohl’s 20% off Coupon Code GIVE20 – CLICK HERE to Shop! Walgreens 30% off Coupon Code CYBER30 – CLICK HERE to Shop! Kate Spade 30% off plus Free Shipping Coupon Code MORECHEER – CLICK HERE to Shop! Barnes & Noble 20% off Coupon Code CYBER20 – CLICK HERE to Shop! CVS 40% off Coupon Code CYBERMON – CLICK HERE to Shop! World Market up to 40% off Coupon Code CYBERBMSM – CLICK HERE to Shop! Nordstrom Spend $250 Get $50 eGift Card – CLICK HERE to Shop! Fossil 30% off Coupon Code CYBER30 – CLICK HERE to Shop! 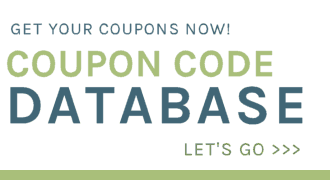 These are just a few of the Cyber MOnday Sales & Coupon Codes available today. You can find all of the Cyber Monday Sales listed below!